When my father, Jack, died of pancreatic cancer in 1979 at the age of 55 it was a shock. In February 2005 my mother Tess, age 80, was diagnosed with stage four ovarian cancer. I watched her struggle to maintain her dignity, never losing her sense of self or her sense of humor, and all the while reaching out to others as they “joined the club”. When she died in June 2007 I realized what I needed to do for my “second act”. I left a career in advertising and trained to become a Certified Mastectomy Fitter. In 2008 I opened Second Act, the only ABCOP accredited cancer recovery boutique in Chicago, with a full time BOCCertified Mastectomy Fitter on staff. 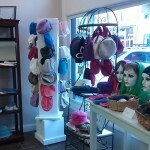 We offer post breast surgery garments including pocketed bras and prostheses, compression sleeves, gauntlets/gloves and bras, as well as wigs, fashion items and accessories in an environment of support and understanding, all under one roof. Our staff takes additional training every year to stay up-to-date on the latest advances in post breast surgery options. And we are available to speak to your group about post surgery after-care issues including such topics as products, insurance coverage and much more. Second Act embraces the belief that life is an ongoing creative project and that everyone has the power to envision the life we desire, even after unexpected, sometimes devastating, circumstances. In this spirit Second Act helps individuals facing physical changes retain their self-esteem, regain their self-image and thrive. We chose the name Second Act as a testament to all the women who have told us “Having survived cancer has changed the way I approach my life every day”. That is why we created Second Act to be a special place where individuals touched by cancer can find the help and inspiration to look forward to the next act of their lives. At Second Act we are committed is to helping women who have faced a life threatening illness and successfully moved beyond it. We take seriously our responsibility to help our clients move forward in their new reality whether it is helping them rebuild their self-image or navigate their insurance benefits. Second Act owner, Pattie Cagney Sheehan is a Certified Mastectomy Fitter certified by BOC, the Board of Certification/Accreditation International. Second Act is accredited by the ABC, the American Board for Certification in Orthotics, Prosthetics & Pedorthics, Inc.
A thought leader in cancer surgery aftercare, Pattie has appeared on CBS-2 News “Your Chicago”, NBC-5 Morning News, Fox Morning News, Univision, the NBC podcast “Better Health”, Live with Dr. Sandy on Watch312.com, CAN-TV Hotline, BlogTalk Radio’s Hope for the Journey, the Healing Circle on happychemo.com, and Milner Broadcasting. She has appeared in Cancer Fighters Thrive, the official publication of Cancer Treatment Centers of America, the Chicago Tribune, Chicago Sun-Times and Today’s Chicago Woman magazine. She has also been featured on the Campaign for Better Healthcare website, the Chicagoland Chamber and the US Chamber of Commerce websites. Second Act is a partner in A Silver Lining Foundation’s Chicagoland Cancer Information Coalition (CCIC) and Pattie was an honorary chair of the ASLF 2011 Gala. She is also on the Board of ALAS, the Latina Association for Breast Cancer; is a member of AABCP, the American Association of Breast Care Professionals; is a volunteer mastectomy fitter for the American Cancer Society at Chicago’s Stroger Cook County Hospital, and is one of only a handful of individuals in the Midwest trained to fit Radiant Impressions custom breast prostheses. 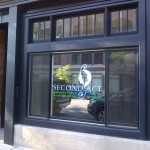 Second Act was a sponsor of the Susan G. Komen Race for the Cure 2009, 2010, 2011, was named a 2010 Small Business Blue Ribbon winner by the US Chamber of Commerce and New Venture of the Year 2009 by the National Association of Women Business Owners (NAWBO) Chicago chapter. An accomplished speaker, Pattie has been a panelist and moderator at the Illinois Women’s Diversity Conference, Business Network Chicago and the American Business Women’s Association. She won the 2010 City of Chicago “Elevator Speech” contest and was a panelist at the City of Chicago Small Business Expo. Pattie is a member of the American Cancer Society Health Initiatives committee, the Professional Women’s Club of Chicago, and the Chicagoland Chamber of Commerce.